NEW! 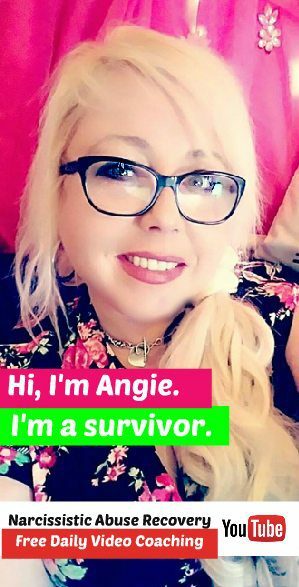 My 60-Day No-Contact Calendar! Download it here. If you’re struggling with a recent breakup or a divorce from a narcissist, this printable calendar will come in handy. It’s a This 60-Day No-Contact Calendar, and I’d like you to consider it a gift from me to you. The calendar offers daily reminders plus inspirational articles and videos – all designed to help you take your recovery to the next level. 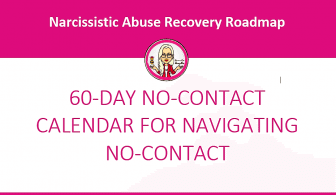 Please note: This calendar is most-effective when used in conjunction with my book, Navigating No-Contact: A Roadmap to Recovery for Narcissistic Abuse Survivors, but is also useful as a standalone resource. Get your 60-Day No Contact Calendar! Are you ready to take the next step? Start your personal transformation today.